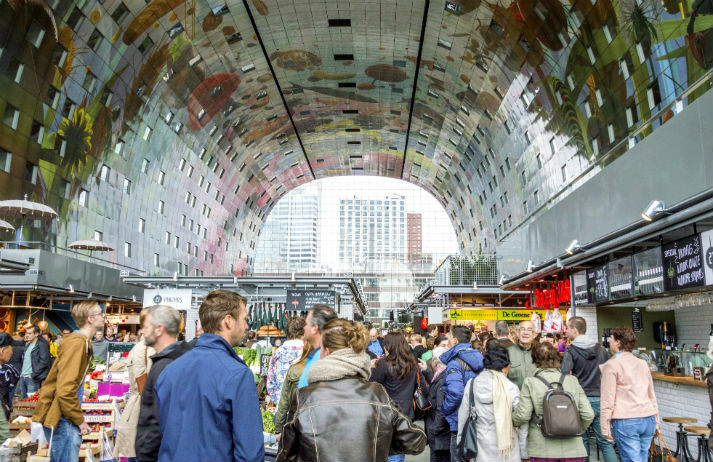 It may be known as ‘the Sistine Chapel of Rotterdam’, but Markthal Rotterdam is not a religious monument – it’s a market. Part market hall, part housing development, part cultural hub, it boasts food stores and restaurants alongside over 200 apartments. Is this what markets will look like in the future?